Getting along well with a sibling can be a challenge. Take for example the relationship between sales and marketing. There have been a number of studies and articles written over the years on the complex and at times strained relationship between Sales and Marketing. Although often described as two sides of the same coin, these two functions have frequently been at odds with each other. Marketers have accused Sales of being too tactical, too price focused, too whiny/needy and too product minded. Meanwhile sales have blamed marketing for being unresponsive, uncreative, too slow, and too removed from the business & customers. While some of these accusations may be warranted, they ignore the fact that sales and marketing are inexorably tied to each other and that when one group fails, they both suffer. Marketing may be more strategically focused and sales may be more execution oriented but they cannot thrive in the long run without each other and without healthy levels of interaction. A study by Luys, Rogers & Simms (“The role of sales and marketing integration in improving strategic responsiveness to market change”) reminded me just how strong collaboration between both groups can significantly expand an organization’s insight gathering and its reactivity in the market. One major benefit is improved gathering of market intelligence. Because of their daily interactions with customers in the markets, sales folks are ideally placed to collect information, data and testimonials that are invaluable to the marketing organization. Meanwhile, close integration between sales and marketing has been shown to result in improved strategic reactivity. In essence: better integration = improved market intelligence gathering and greater reactivity. Yet how often have we seen or experienced dysfunction between sales and marketing? Align sales & marketing under the same management. Although not always feasible, having both organizations report into the same VP can force greater accountability for collaboration. Actively use social media. Nowadays there are a number of effective tools and formats which can greatly facilitate frequent communications between sales people in the field and marketers in the corporate offices. Be they Twitter, HipChat, Campfire, or internal social forums, sales reps armed with mobile technology can make immediate entries and receive feedback almost instantaneously. Make marketers get out there. Marketers clearly need to go into the field more often. Their focus, however, needn’t always and only be the customer. They should also be directed to forge close relationships with sales personnel. When personal relationships get formed between them, trust grows and information flows with it. Enhance and improve communications. More frequent communications between groups is a must. They needn’t be newsletters each time, but creating more open and frequent exchanges of information (from the lowest to the highest levels in each organization) will foster a sense of teamwork and openness. Share results and successes. For sales people to feel listened to and valued, they need to see the result/impact of their contributions. They deserve to see and hear the disposition of their input. Keeping them in the dark or failing to act on their comments/information is the surest way to torpedo a budding relationship. Similarly, when successes are achieved and important findings uncovered, the direct contributors need to be publicly called out and recognized. Create joint rewards and incentives. Although we might expect to see integration happen naturally, putting incentives and contests in place can enhance and accelerate the exchange of market intelligence. Select integration metrics. To ensure that collaboration and reactivity are sustainably improving, identify 2-3 metrics that will appear on management’s performance dashboard. Break down barriers. Where applicable, try to co-locate sales and marketing personnel close together. Removing physical barriers (buildings, floors, walls, etc…) is just one small way to help encourage greater collaboration between the groups. Nip any attitude in the bud. There has often been a perception that marketers were “elite” or special. Some performances and behaviors over the years certainly have given credence to this perception. However, it is completely unacceptable and marketers will need to quickly shed any chip on their shoulder when it comes to working closely with people in the sales organization. 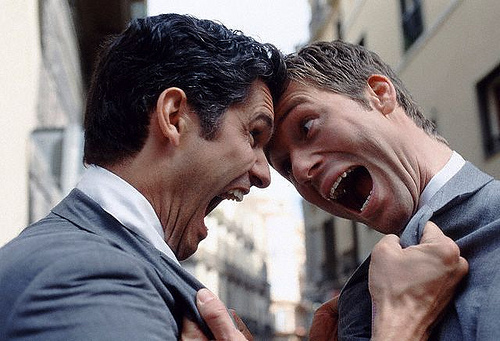 Managers need to be vigilant and on the lookout for any inappropriate behavior between both groups. Walk the talk. For collaboration to have a lasting impact, senior leaders in both organizations need to be consistently seen and heard living the new relationship. Lack of a genuine rapport at the very top will inevitably trickle down and undermine the budding collaboration. Got any horror stories or great examples of sales and marketing integration? 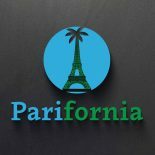 Share your thoughts or simply follow the Parifornia blog (Original insights in international business and marketing). This entry was posted on April 16, 2013 by Andrew Hyncik in Marketing and tagged business, Collaboration, marketing, Marketing and Advertising, Organization, sales, Social media, Twitter. Why do Medical Devices Take so Long to Develop?